The killer jailed for the Ashburton Work and Income double-slaying will argue against his conviction and sentence in March. The New Zealand Herald can reveal that Russell John Tully's appeal will be heard at the Court of Appeal in Wellington on March 12. Tully was found guilty in 2016 of being the masked gunman who stormed the Ashburton Winz centre on September 1, 2014 and shot dead receptionist Peggy Noble, 67, from point-blank range and shot case manager Susan Leigh Cleveland, 55, three times as she pleaded for her life. The 52-year-old was also found guilty of attempting to murder case manager Kim Adams. He was found not guilty of attempting to murder case manager Lindy Curtis who was shot in the leg and badly injured while hiding under a desk. 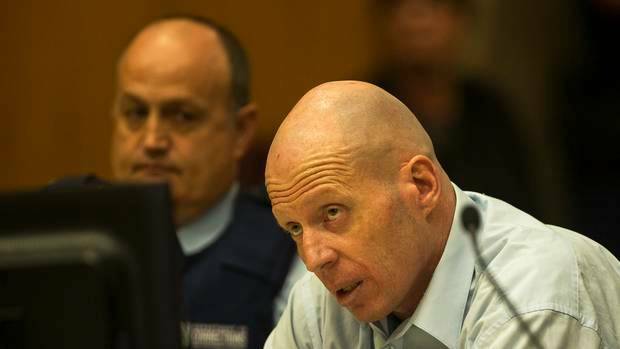 In May 2016, Justice Cameron Mander sentenced Tully to life imprisonment with a minimum non-parole period of 27 years - the second highest non-parole period ever handed down in New Zealand history. A Court of Appeal spokeswoman in Wellington today confirmed that a hearing date of March 12 has now been confirmed. An earlier hearing scheduled for March 2017 never went ahead. At his sentencing, Tully alleged a "major cover-up by the Crown" regarding disclosure and evidence, and further claimed he didn't have access to a lawyer. "If I was guilty and went out and killed two people, I'd take it, and say, 'That was me'. But obviously that was not the case and I refute the accusation," Tully said. Tully was found to be mentally capable of facing charges of double-murder and attempted murder after an earlier hearing under the Criminal Procedure (Mentally Impaired Persons) Act 2003. Last year, Tully was interviewed behind bars by a senior detective reviewing the 20-year cold case of murdered Ashburton schoolgirl Kirsty Bentley. Tully, a former local diesel mechanic who grew up in Ashburton, was ruled out as a suspect after police came away satisfied with his alibi.